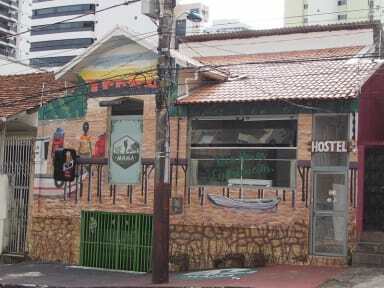 Mama Hostel is situated in the heart of Belém, 1313 Visconde de Souza Franco Avenue, it provides easy and quick access to all attractions and services. With environments inspired by Amazon. We provide warmth of grandma's house. The staff of MAMA has been trained to serve with efficiency, our team has a mission: That our clients live new experiences during their stay, so we create different spaces such as: Piccolo Bar and Gallery, an inspiring environment on the ground floor of the hostel, with works Famous remodelled to the ideals Paraenses. Our Monalisa Paraense always provokes good laughs and a section of photos. At Piccolo you can take a book from our bookshelf and delight in the drink of your choice to the sound of Pará artists. Another of our proud is the Lateral Garden of MAMA, a place to appreciate the colours the aroma of plants. The neighbourhood of Umarizal is the pulsating centre of the city, close to the main sights, squares, leisure centres, supermarkets, a few blocks from the Boulevard shopping mall, pharmacies, cafes, bookstores and with easy access to the main avenues of the city. The large amount of transport allows easy and agile transportation without major difficulties. Umarizal certainly is one of the most complete districts of the city. Our property offers individual or shared selective or mixed accommodations, as well as various services and facilities. 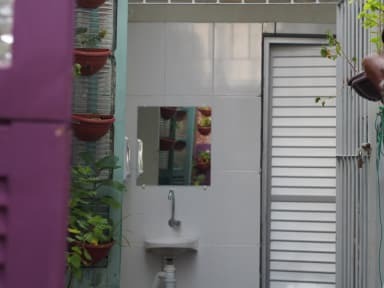 One of the great differentials is our prime location and you will be surprise yourself by opening one of the garden windows. You will have excellent moments of reflection in this place. Do not forget to also visit Sensible Space, a curious attic space of the Mama Hostel where you can stay barefoot and enjoy relaxing, reading a good book or turning it into a movie theatre to enjoy with the friends. Cancellation policy: 72 hours before arrival. Payment upon arrival by cash, credit cards, debit cards. This property may pre-authorise your card before arrival. Taxes not included - occupancy tax 2.50 BRL per person per stay.